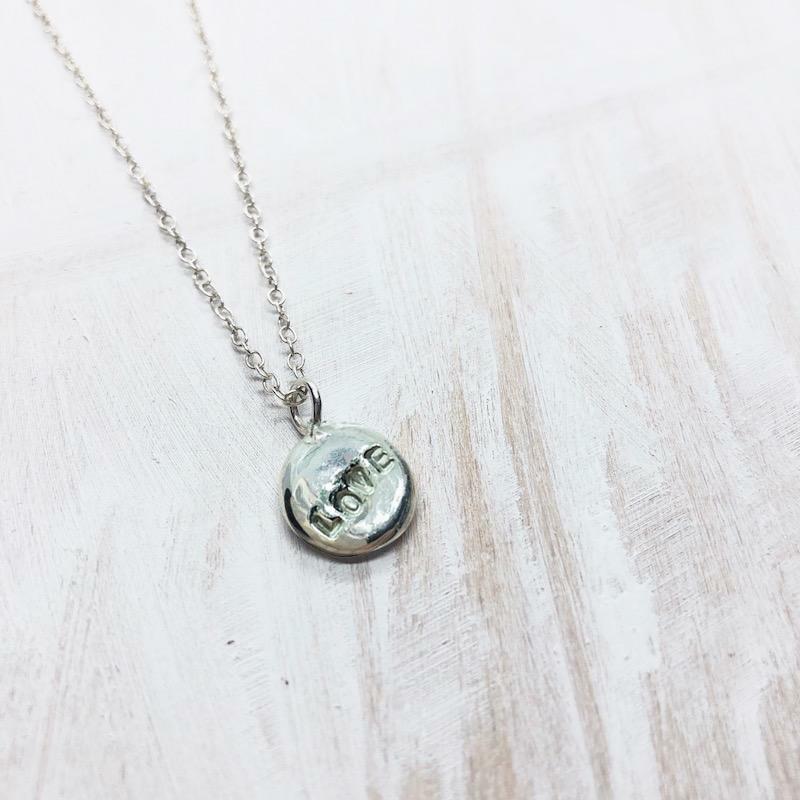 Small silver disc hand stamped with a simple message of "Love" attached on a silver chain. 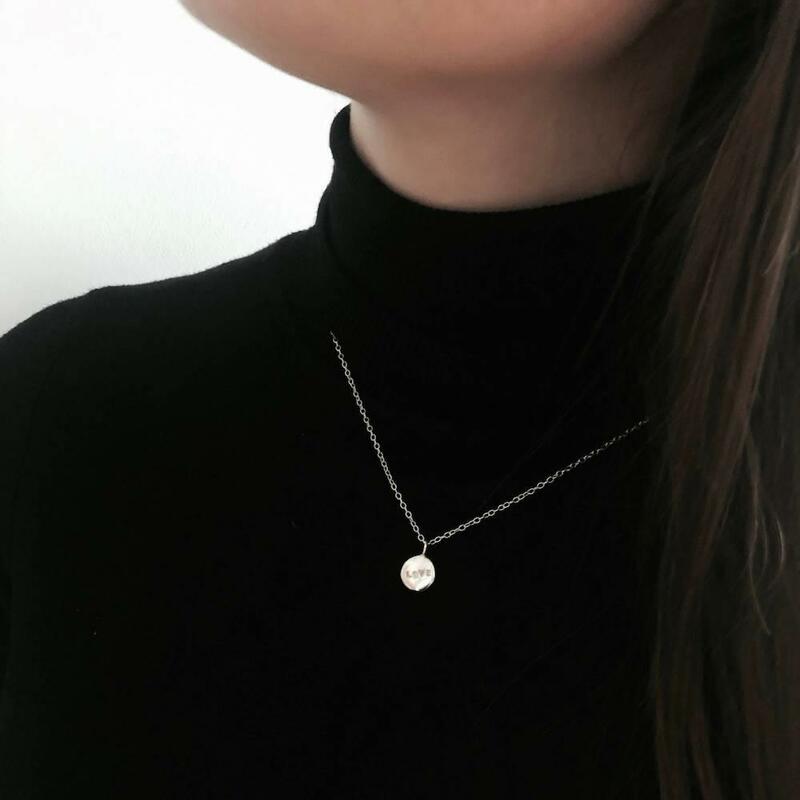 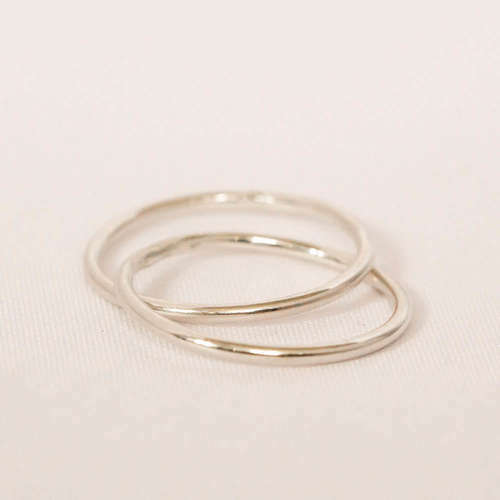 This beautiful necklace is crafted by hand in England using high quality recycled and ethically sourced sterling silver. 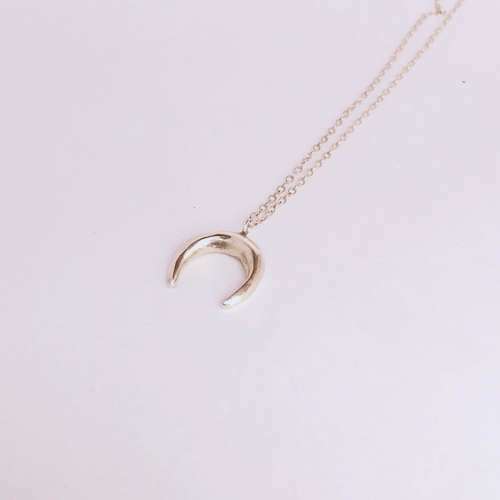 Available in two chain lengths - 18" or 20".